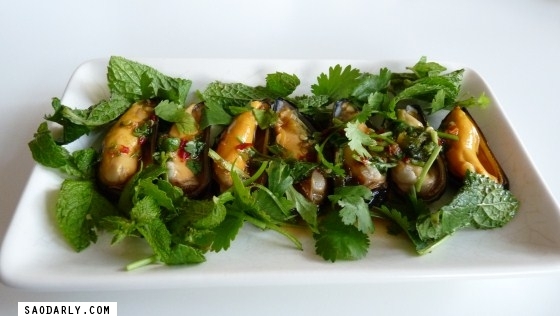 Inspired by Koong Chae Nam Pa at Kung Pao T2 in Vientiane, I cooked a pot of mussels and made sweet and sour chili sauce (Jeow Som) to go with steamed mussels. 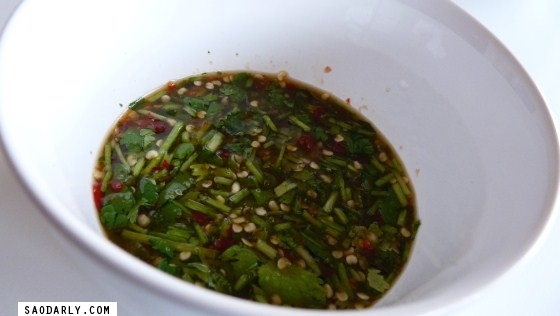 The chili pepper sauce uses the same ingredients as you would find in Koong Chae Nam Pa recipe, minus the garlic. Another version is to add ginger to the sauce. 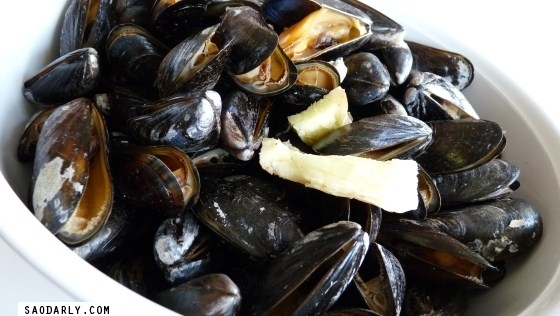 Can we call this Mussels Chae Nam Pa or Hoy Ga Pong Chae Nam Pa? I didn’t know such simple dish of mussels in chili pepper sauce could taste so good.